What Do Strategic Planning Companies Do? Let’s be honest: Starting a business and then running it can turn out to be chaotic. There can be thousands upon thousands of things that require your immediate attention, and you cannot simply wing it. There needs to be proper planning and predictions of the future. Since there are probably hundreds of businesses just like yours, you need to take appropriate measures to ensure that you rise to the top and stay there. You cannot tell your team to engage in tasks without providing them with a clear-cut vision and goals. If you do, you will be faced with a lot of mistakes, loss of time and of course, lack of productivity. To avoid all of this, you must instead have some sort of a blueprint or a plan which is communicated across your organization to ensure that everyone stays on the same page. This special plan (also known as a strategic plan) should encompass all of your business objectives, what you do, whom you serve and how you do it in a systematic way. Having such a plan will guarantee a boost in productivity, rapid success and smooth sailing for several years. But making this plan is no cake-walk – You need to invest a lot of time, efforts and energy. To make things easy, it is recommended that you look for reliable strategic planning companies! Wait, there are companies which are dedicated solely on providing strategic plans? Seriously? Well, judging by the extreme competition and the ever-growing need for staying ahead, it should not come as a surprise that the demand for such companies is increasing at a rapid pace. In this article, we will try to explain what it is exactly that a strategic planning company does and how hiring one could take your business to the next level. Keep reading, and by the end of it, we guarantee that you would have learned something new. What are Strategic Planning Companies? 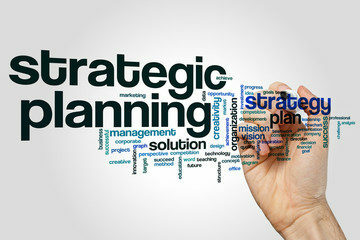 As the name clearly suggests, a strategic planning service helps businesses in devising long-term strategies based on the industries they are operating in, the resources available at their disposal and the short-term and long-term goals that they wish to accomplish in the years to come. Most business owners would rather prefer creating their strategies by themselves, but most of them suffer from losses and have to deal with obstacles. On the other hand, those businesses that opt for the services of a strategic planning company rarely come across bumps. This is because the professionals that help them are highly experienced and have spent years creating promising plans for various organizations. If there is one thing which both the supervisors and the employees love, it is having a long-term plan which they can use to engage in day-to-day business operations. It is surprising that how so many businesses are suffering just because they do not have their goals and procedures written, and still continue to operate in hopes of a miracle. What they do not realize is that without an organizational blueprint, they will never be able to allocate resources efficiently, divert their attention towards things that matter and perform their core business objectives effectively. Hiring a strategic business planning company can help you a lot and provide you with a decent game-plan. As implied above, many businesses keep struggling for years just because they do not have a clear goal or direction to follow. And once they realize their goals and the direction after all those years, it is already too late. A strategic planning company provides relevant guidance to its clients in this regard, helping them understand the things that require their immediate attention and what things to look after. This results in a great boost of motivation, as the employees get a sense of belongingness and the feeling that they are making a difference with the work they are doing.